The business sale consists of both stores in neighbourhood shopping centres situated in the Eastern suburbs of Adelaide surrounded by a desirable flower loving demographic. Very reasonable overheads at both locations with prime positions & parking. Business could target Corporate B2B work. Transactional Website is included but more vigorous digital marketing and social media could be done. Floristry skills or knowledge of the industry are definately an advantage. No qualifications are required to own a florist store but some skills are essential to be successful. Buyer should have strength in customer service, preferably retail. An understanding of the purchase and rotation of fresh product. An eye for detail and the ability to display merchandise is helpful. Social and digital media skills are useful. Genuine family reasons for a regrettable sale have created this fabulous opportunity for someone else to surround themselves in flowers and the local community that supports the business. Vendor has been trading in the industry for many years and these are both long established business that are rare to find with reasonable lease conditions. Surrounded by quality tenants, with very reasonable overheads at both locations, this business is complete with the two retail stores in prime positions. Marryatville kiosk store is situated right in the middle of the centre mall on Kensington Road supported by a Woolworths supermarket, the centre has underground parking and every shopper has to pass the store to enter the supermarket. The Avenues St Peters store in Stepney is located on the corner of 3 mall areas of the centre and is the absolute feature of the shopping centre. These beautiful stores are well known within the local community for quality, reliability and excellent presentation. Real florist stores are hard to find and these two are little gems. The business does an enormous amount of cash and carry product and provides a delivery service. It has a fully transactional website with delivery & click and collect with select your store. With a turnover of $600 000 plus GST this business will ideally suit a family or an opportunity for an existing company to expand their business. 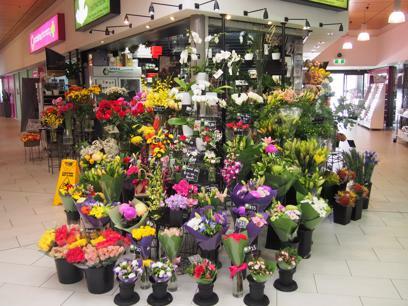 The Avenues St Peters Florist has been trading for approximately 40 years with the vendors owning the store for 22 years - a rare opportunity only 3 owners in 40 years.